Remove the fuel injection rail ground cable nut (1). Remove the 2 fuel injection rail bolts (2). Remove the fuel injection fuel rail assembly (3). 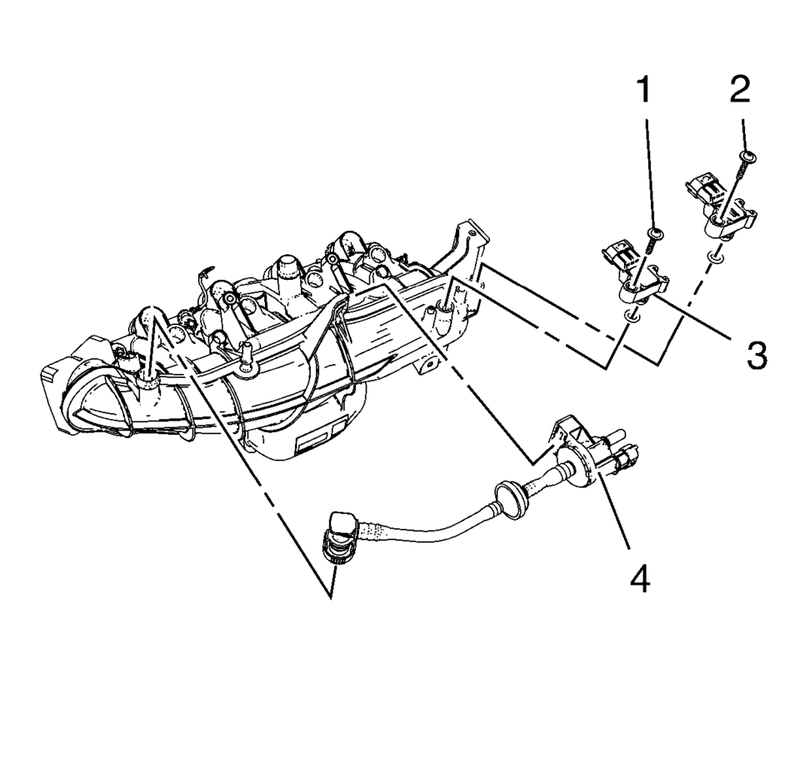 Remove the intake manifold gasket (4). 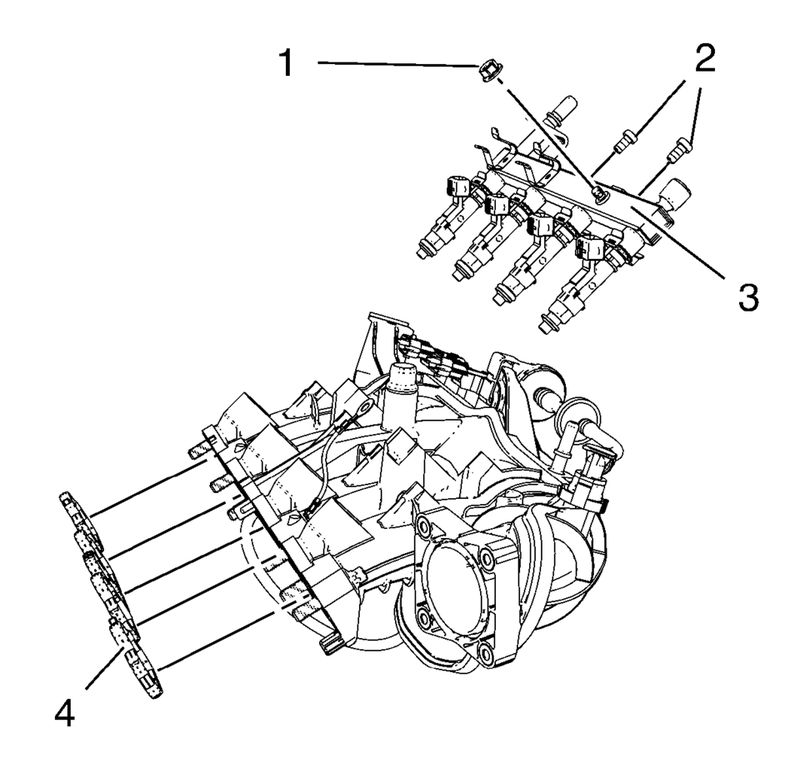 Remove the 2 manifold absolute pressure sensor bolts (1). Remove the 2 manifold absolute pressure sensors (2). Remove the evaporative emission canister purge solenoid valve (3).